Please consider this Letter a statement of opposition to the proposed Project Icebreaker Wind Turbine project planned for Lake Erie. It appears that the US and Canadian governments are ignorant to the negative impacts of industrial wind turbines that are being experienced all around the world as we see more and more industrial wind turbines popping up all over Nth American. To allow the proposed Project Icebreaker Wind Turbine project planned for Lake Erie to proceed would be an enormous injustice to the Great Lakes with the negative impacts that would certainly cause major issues to the migratory paths of nature’s creatures while at the same time polluting the local environment through the toxic emissions from the construction and operation of industrial wind turbines. In Australia the consequences of what we see as a very inefficient, uneconomical source of energy is certainly being felt with the recent South Australian blackouts (1). To knowingly allow a development to proceed with the knowledge that at the very best it will only be maybe 40% efficient and will cause deleterious impacts to an area that needs to be protected for it great attributes is nothing less than indulging an industry that has no respect or concerns for our environment and hell bent on making money at any cost. With the knowledge that is available now about the negative impacts and emissions from industrial wind turbine developments there is no excuse not to take a very guarded approach and use the “Precautionary Principle”. Please consider the negative impacts and emissions of industrial wind turbines and deny all industrial wind turbine development ever from being placed in any of the Great Lakes. We can’t afford to keep destroying what nature has provided, especially for a very inefficient, uneconomical source of energy that does cause harm. Patina Schneider from the Wind Turbine Awareness Group says she’ll be raising concerns about the wind farm’s potential negative impacts including noise, sleep disturbance and property devaluation. “Nobody’s being compensated. 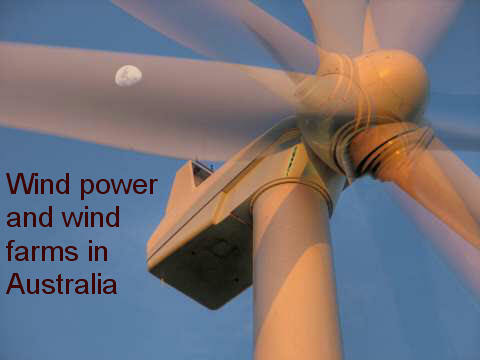 While a few people have been bought out at several wind farms to try and shut them up,” she said. Ms Schneider says people shouldn’t be threatened in their own homes by the impacts of wind farms such as noise and sleep disturbance.